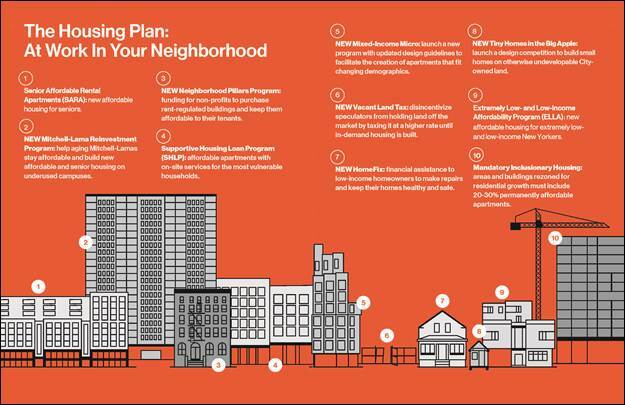 NEW YORK—Mayor Bill de Blasio today released his “Housing New York 2.0” plan laying out new tools and programs to build and preserve affordable homes for 300,000 New York families – up from the previously announced goal of 200,000 homes. Under the accelerated and expanded plan, the City will boost the number of affordable homes for seniors and families to an unprecedented 25,000 per year, while also increasing resources and strategies for affordable homeownership programs and not-for-profit organizations purchasing rent-regulated buildings to preserve affordability. Housing New York 2.0 introduces a suite of initiatives that will help create 200,000 affordable homes two years ahead of schedule, by 2022, and reach a new goal of 300,000 homes by 2026. The City’s upgraded housing plan was announced at New Settlement Apartments in the Bronx where nearly 900 affordable homes, across 15 buildings, are being preserved as affordable for another generation of New Yorkers. “Building on the incredible affordable housing accomplishments of our first term, Housing New York 2.0 commits us to creating 25,000 affordable homes a year and 300,000 homes by 2026. Making New York a fairer city for today and for future generations depends on it,” said Mayor Bill de Blasio. Housing New York 2.0 requires an additional $150 million a year in the current 4-year financial plan. This will bring the City’s investment in achieving the 100,000 more homes – or 300,000 total homes – to about $1.3 billion per year over the next nine years. Future financial plans will reflect the commitment. “Housing New York 2.0 sets a new bar, one that reflects the urgency of the needs on the ground, and builds on the incredible progress that has been made over the past several years. Through innovative new programs and far-reaching policies, we are delivering affordable housing at a clip that hasn’t been seen in decades while doing more to protect tenants and ensure the quality and safety of their homes. Looming threats on the horizon demand that we be more resourceful with underused sites and new technologies; more targeted in preserving the affordability of neighborhoods experiencing rapidly rising rents; and more creative in serving our seniors and expanding opportunities for affordable homeownership. I want to thank the Mayor, my team at HPD and HDC, and our many partners for helping us build a stronger, more equitable city today and for generations to come,” Housing Preservation and Development Commissioner Maria Torres-Springer said. Today’s unveiling of Housing New York 2.0 was made at New Settlement Apartments, which were built during the Koch Administration. With City financing, the buildings are being rehabilitated and affordability will be extended for all 893 apartments for an additional 60 years. System wide upgrades include the installation of solar panels and energy efficient boilers at each building. In partnership with the City, the not-for-profit affordable housing developer Settlement Housing Fund also rehabilitated a playground and initiated the new construction of 60 affordable apartments on a once vacant lot within the portfolio. The 11-story building, where families will start moving in as early as next month, creates 60 new homes for households earning between $20,000 and $53,00 a year, as well as for formerly homeless families. Since Housing New York launched in 2014, the City has financed the creation or preservation of affordable homes for more than 78,000 households across New York City. This puts the City on track to secure more affordable housing in the first four years of the Administration than in any comparable period since 1978. Under Housing New York, the City has tripled the share of affordable housing for households earning less than $25,000, and doubled funding for housing construction and preservation. Create more homes for seniorsby setting aside underutilized public lots for new affordable senior housing, and make new and preserved affordable housing accessible to seniors and people with disabilities. Build a firewall against displacement in fast-changing neighborhoods by helping non-profits purchase as many as 7,500 traditional rent-stabilized apartment buildings and keep them affordable to current residents. Protect affordability at Mitchell-Lama buildings, which represent some of the last already existing affordable homeownership opportunities. Unlock affordable homeownership to help low- and moderate-income New Yorkers build equity, improve the quality of their homes, and stabilize New York City neighborhoods by financing construction of coops and condos for first-time home buyers and by offering home repair loans. Unlock the potential of vacant lots long considered too small or irregular for traditional housing with innovative smaller homes, and develop more affordable housing on lots long used for parking at existing Mitchell-Lama and federally regulated senior affordable housing complexes. Capitalize on advances in technology and innovative design to expand modular building and micro-unitsthat can lower the cost of construction, build new homes faster, and respond to the city’s changing demographics. “Quality affordable housing is a top priority for all New Yorkers. We must ensure that New York remains affordable for our families and seniors as our diverse neighborhoods continue to grow. I commend Mayor de Blasio for expanding on his ambitious plan to reach for greater goals to preserve and generate even more affordable housing, fight displacement as well as bring homeownership opportunities for residents across the five boroughs,” said Council Member David Greenfield, Chair of the Land Use Committee. “This expanded goal is indicative of two things. First, that the steps we are now taking in city government toward confronting this massive problem are having a meaningful positive impact. Second, that we are not content to simply applaud our own successes but to push forward aggressively working from our existing efforts and exploring and implementing new strategies to combat the affordable housing and homelessness crisis. We can do more, we must do more, and with this new goal, we will do more. I look forward to working on those solutions alongside the administration,” said Council Member Jumaane D. Williams, Chair of the Committee on Housing and Buildings. “I am pleased that the city’s new open door financing program will promote the construction of cooperative and condominium buildings. Representing tens of thousands of residents of cooperative and condominium housing units, I know that cooperative and condominium housing can make the dream of home ownership a reality for New Yorkers. 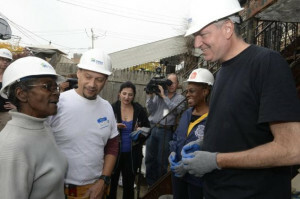 At the same time, the home fix program will help New Yorkers stay in their homes by providing financing for necessary repairs; I worked on a similar program in the Queens borough president’s office and saw how impactful it was,” said Council Member Barry S. Grodenchik. “To address New York’s housing crisis, we need to think bigger about preservation. With this initiative, the Mayor is doing exactly that. These new tools to preserve Mitchell-Lama buildings as affordable and to empower nonprofits to prevent displacement will make a huge difference in my district and across the city—especially in tandem with a redoubled effort to prevent tenant harassment. New York City has made a commitment that no tenant stands alone; I look forward to ensuring that we honor it. 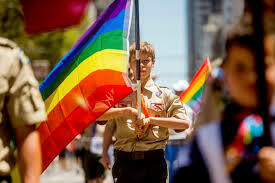 I thank the Mayor for his leadership and partnership,” said Council Member Helen Rosenthal. ‘What used to be a hallmark of the American Dream and a tool for working and middle class families to achieve economic and social stability is now a luxury reserved mostly for the wealthy. High market prices, rising foreclosure rates and countless scams make it difficult for families to buy and keep their home. The only way to preserve and increase the middle class is through policy targeted at increasing opportunities for homeownership to those who need it most. I applaud the de Blasio administration for instituting these two programs and working to make affordable homeownership a reality for more New Yorkers,” said Council Member Rafael Espinal. “We applaud the City for launching more initiatives to help support the housing needs of single adults. Single people face particular challenges in the housing market with one income, and more options are desperately needed. By exploring how different housing typologies can respond to our needs, New York continues to be a pioneer of housing innovation,” said Jerilyn Perine, Executive Director of Citizens Housing Planning Council. “The Urban Homesteading Assistance Board (“UHAB”) has served low-income homeowners in New York City for the past 44 years and believes in the stabilizing effects of homeownership for both individual families and the wider community. We applaud the City for strengthening its efforts to create first-time affordable homeownership opportunities for low-income New Yorkers through the “Open Door” program and for providing much needed resources to struggling homeowners through its “Home Fix” program,” said Andy Reicher, Executive Director of the Urban Homesteading Assistance Board. “We are thrilled by the Mayor’s renewed and expanded commitment to affordable housing. The need has never been greater. We have no doubt that his incredible team of housing professionals is up to the tremendous task of delivering on the commitment,” said Daniel Moritz, Principal of The Arker Companies. Governor Andrew M. Cuomo today released the following statement on the deal reached by the Real Estate Board of New York and the Building and Construction Trades Council of Greater New York on the affordable housing program known as 421-a. “The deal reached today between these parties provides more affordability for tenants and fairer wages for workers than under the original proposal. While I would prefer even more affordability in the 421-a program, this agreement marks a major step forward for New Yorkers. The agreement extends affordability for projects created with 421-a for an additional five years – bringing affordability for these units to 40 years. It also allows lower-income individuals to qualify as it lowers the percentage of area median income needed to apply. NEW YORK––Mayor Bill de Blasio and Department of Housing Preservation and Development (HPD) Commissioner and Housing Development Corporation (HDC) Chair Vicki Been announced today a series of new affordable housing lottery rules designed to ensure that City-assisted affordable housing reaches the New Yorkers who need it most. Important changes to the policies include ending developers and leasing agents’ ability to deny applications based solely on credit scores; new standards for homeless shelter referrals to account for special challenges faced by these households; strictly limiting the ability of landlords to deny an applicant based only on their exercising due process rights in housing court; and imposing limits on personal assets. The new Marketing Handbook can be found here. The requirements – the first updates to these guidelines since Housing Connect was launched in 2013 – address feedback received by applicants, affordable housing advocates, marketing agents and for-profit and not-for-profit developers about the City’s affordable housing eligibility criteria and the application process. In response, HPD and HDC reviewed and revised the policies to make them fairer, more transparent and more effective at targeting affordable housing to those most in need. “Under Housing New York, we are working not only to build and preserve housing for rent-burdened New Yorkers, but also to ensure that our housing is allocated fairly and efficiently. Through our new marketing policies and procedures, we’ve standardized the criteria developers can use to evaluate applicants, restricted the use of credit scores and housing court history to determine eligibility and limited personal assets, all to ensure that the affordable homes we build and preserve serve the New Yorkers who need them most,” said Vicki Been, Commissioner of HPD and Chair of the Board for HDC. “All New Yorkers, regardless of their source of income, deserve equal access to safe, affordable housing. At the Department of Veterans’ Services, we’re especially concerned with ensuring veterans are not discriminated against because their primary source of income is their post-9/11 GI Bill. Under the Mayor’s new Housing New York policies and procedures, it is clear that landlords must rent to veterans as they would to any other New Yorker. DVS thanks our partners at HPD and HDC for working with us and the larger veteran community to explicitly include this protection of veterans in its new policies,” said Commissioner of the Department of Veterans’ Services Loree Sutton. The new marketing policies are yet another way the City is delivering on the promises of Housing New York, Mayor de Blasio’s ten-year plan to create and preserve 200,000 affordable homes. With nearly 53,000 affordable homes financed under the plan to date, the new policies and procedures help to ensure that those new homes reach the New Yorkers they were designed to serve. By standardizing all selection criteria, the new guidelines ensure that households who have the ability to pay rent and, by all other indicators, can be expected to be responsible tenants are not rejected solely on the basis of a low credit score, or solely because a tenant appeared in housing court. The policies also promote greater language accessibility at all stages of the application process, require consistency in how developers and marketing agents communicate with applicants and apply credit criteria and other standards, and increase the transparency of the appeal process. Standardizing and limiting use of credit and housing court history in the selection process so that applicants are treated consistently and fairly across all projects. Accounting for the special challenges residents of homeless shelters face in meeting eligibility criteria, including victims of domestic violence, to improve the chances that households will be placed in permanent housing. Clarifying how developers calculate income of applicants receiving government benefits, for example those receiving GI Bill or Section 8 benefits, to ensure consistency and forestall discrimination. Tightening guidelines to ensure those who qualify for affordable housing will use their new home as their primary residence. Requiring that interview locations be accessible and clearly marked, and that interviewers provide interpretation services, including American Sign Language. Ensuring developers’ outreach and advertising efforts include diverse communities citywide. Reforming the appeal process to make the process more transparent. Revising interview standards to ensure more privacy and security of personal information. Prohibiting home visits, which are too subjective to be fair. Developers are notified of the marketing policies and procedures before their affordable housing projects are financed, and are required to follow them to allocate units that become ready for occupancy. About 7 months before the construction project will be completed, developers must submit a marketing plan to the HPD or HDC marketing teams for approval. These plans must adhere to the policies described in the Marketing Handbook. Once HPD or HDC approves the marketing plan, the developer must advertise the availability of new affordable housing. Those advertisements and other outreach described in the marketing plans typically begin twenty-one to sixty days prior to the lottery application deadline. Since its 2013 launch, NYC Housing Connect has simplified the City’s housing lottery process. The website allows New Yorkers to fill out a single online profile, which can be used to apply to multiple new housing lotteries. That profile can be saved and edited, eliminating the need to fill out individual paper applications for upcoming lotteries. HPD and HDC encourage people in need of affordable housing opportunities to take advantage of the convenient online application, as application periods for new affordable housing lotteries open regularly. Because the City has shaped its programs to ensure that housing is available for people at a range of income levels, not all buildings provide housing at all income levels. However, applicants who are not income-eligible for one given development may be eligible for another. The NYC Housing Connect website now serves Arabic, Simplified Chinese, Haitian Creole, Korean, Russian, and Spanish speakers. Each existing housing lottery advertisement and all upcoming lotteries are also available in each of the above listed languages. Translations were funded by Citi Community Development. All registered applicants are notified via email when new lotteries are posted to the NYC Housing Connect site. Instructions on how to submit a paper application are also available, and listed in each housing lottery advertisement. Applicants may not submit both a paper application and a web application for the same project. Duplicate applications may be disqualified, as an applicant can only apply once to any given development. “Expanding access to affordable housing for those in greatest need is one of the most pressing issues in our city. No one should be excluded from housing opportunities because of they have bad credit, limited English or have fought for their rights in housing court. Today’s announcement from Mayor de Blasio and his Administration is an important step in the right direction,” said State Senator Liz Krueger. “While the pool of those who currently qualify is overwhelming, this is the right thing to do and a good step in creating even more eligible applicants. I look forward to working on solutions to expand the available number of truly affordable units which are so desperately needed in New York City,” saidAssembly Member Keith L.T. Wright, Chair of the Committee on Housing. “I applaud Mayor de Blasio’s efforts to make affordable housing more accessible to some of our most vulnerable New Yorkers by eliminating unnecessary and discriminatory barriers,” said Assembly Member Andrew D. Hevesi, Chair of the Committee on Social Services. “With so many New Yorkers struggling to find decent, affordable housing for themselves and their families, and with too many sliding into the abyss of homelessness for the lack of it, I call this a good step forward. All too often, I have experienced the city’s long term housing problems and issues in meeting with beleaguered constituents seeking my help. At the same time, I also hope the City will work closely and supportively with developers and landlords, whose investments in this program are key to making affordable housing a reality,” said Assembly Member Luis Sepulveda. “New Yorkers shouldn’t be blacklisted by landlords for fighting for their rights in housing court, and New Yorkers seeking affordable housing shouldn’t be summarily rejected solely on the basis of their credit history. By establishing fair, uniform standards, the de Blasio Administration is helping to the affordable housing application process more inclusive and equitable,” said Assembly Member Richard N. Gottfried. “As so many New Yorker’s struggle with the burden of high rents, we must act decisively to preserve and protect existing affordable apartments and to develop new ones. We must also ensure that as we invest in affordable housing, these resources are distributed equitably. The policies announced today serve as a reminder that this effort is not merely about lowering rents for the lucky few, but also about a fundamental commitment to expanding opportunity for all. I thank Mayor de Blasio and Commissioner Been for taking these important steps,” said Assembly Member Brian Kavanagh. “I would like to commend the Mayor and his Administration for recognizing the need to revise the affordable housing lottery rules and criteria. This revision will allow a substantial number of working class New Yorker’s, who are most in need to now qualify for decent affordable housing, the necessary and real time opportunity to overcome the burdensome restrictions that are currently allowing landlords to deny applicants because of their credit score,” said Assembly Member Walter T. Mosley. “This is a positive move in the right direction and will make way for many additional New Yorkers to permanent affordable housing. For some time, these are the changes advocates have worked to address to ensure greater affordable housing opportunities for families across this city,” said Queens Borough President Melinda Katz. “We cannot fully address the City’s housing crisis if there are barriers such as a person’s credit score, and housing court history that prevents them from taking advantage of the affordable housing programs the City puts in place. These factors should not be sole determinants in when considering who is eligible for affordable housing programs; doing so would unnecessarily prevent the most vulnerable New Yorkers in moving forward,” said Council Member Jumaane D. Williams, Chair of the Committee on Housing and Buildings. “Just as one’s credit score shouldn’t be a barrier to employment, neither should a negative credit or housing court history prevent anyone from applying for affordable housing. With the release of this handbook, our City is ensuring fairness in our lottery system, as well as expanding access to the affordable housing that New Yorker’s and their families need,” said Council Member Margaret Chin. “In a city where the elderly, homeless, and new immigrant populations are struggling to find an affordable place to live, we welcome reforms that will open up the housing lottery and make the language more accessible to those who need it the most,” said Executive Director of Woodside on the Move Amy T. Paul. “I think this is an excellent shift! The Mayor is looking at the challenges that renters face and is responding by making it easier for people to get affordable housing,” said President of the 303 Vernon Ave. Tenant Association Vanessa Gumbs. “This is tremendous and timely. It comes at a time when New Yorker’s need affordable housing more than ever. These changes will only improve New York City’s homeless crisis,” said President of the 654 – 716 Willoughby Ave. Block Association Yoland Harrell. “The world’s great religious traditions share a concern for how societies treat their most vulnerable members. With these reforms addressing the needs of New Yorker’s who require shelter and affordable housing, the de Blasio Administration makes itself a friend to people of good faith as well as good conscience across the economic spectrum,” said Executive Director of Interfaith Center of New York Reverend Chloe Breyer. “The Interfaith Assembly on Homelessness and Housing is pleased to endorse the Administration’s strengthening of the rules for the NYC Housing Connect Lotteries to ensure that the thousands of below market rental housing units being made available over the coming years through the City’s Housing Lottery will even more effectively and equitably address the special circumstances faced by the most housing challenged of our neighbors,” said Executive Director of Interfaith Assembly on Homelessness and Housing Marc Greenberg. “Credit scores should not determine the ability for a person to get affordable housing. HPD’s changes in the criteria to the lottery system will expand the access to affordable housing and make the process of selection more equitable. ALIGN applauds this new criteria allowing for more New Yorker’s the opportunity to enter into affordable housing,” said Deputy Director of ALIGN Maritza Silva-Farrell. 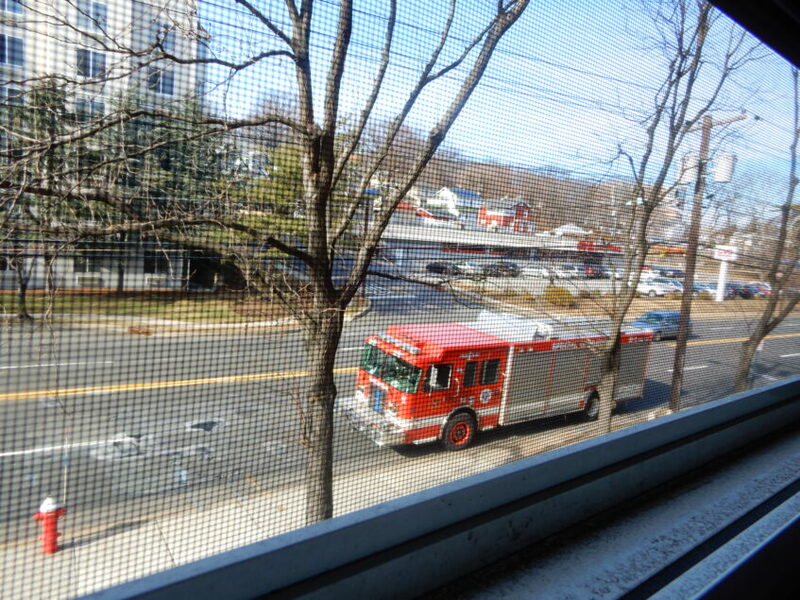 HPD is the nation’s largest municipal housing preservation and development agency. Its mission is to promote quality housing and diverse, thriving neighborhoods for New Yorkers through loan and development programs for new affordable housing, preservation of the affordability of the existing housing stock, enforcement of housing quality standards, and educational programs for tenants and building owners. 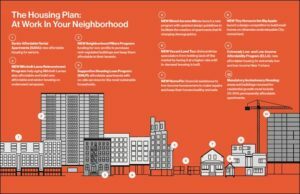 HPD is tasked with fulfilling Mayor de Blasio’s Housing New York: A Five-Borough Ten-Year Plan to create and preserve 200,000 affordable units for New Yorkers at the very lowest incomes to those in the middle class. For more information visit www.nyc.gov/hpd and for regular updates on HPD news and services, connect with us via www.facebook.com/nychousing and@nychousing. HDC is the nation’s largest municipal Housing Finance Agency and is charged with helping to finance the creation or preservation of affordable housing under Mayor Bill de Blasio’s Housing New York plan. Since 2003, HDC has financed more than 120,000 housing units using over $13.7 billion in bonds, and provided in excess of $1.6 billion in subsidy from corporate reserves. HDC ranks among the nation’s top issuers of mortgage revenue bonds for affordable multi-family housing on Thomson Reuter’s annual list of multi-family bond issuers. In each of the last four consecutive years, HDC’s annual bond issuance has surpassed $1 billion. For additional information, visit:http://www.nychdc.com. What kind of city are we going to be 10 or 20 years from now? Can we be both a city that’s thriving, and one that working families can still afford to call home? Today, we’re at a turning point, and we face decisions that will shape our city for a generation. We can address our housing crisis head on, with tough truths, real resources and every tool at our disposal. Or we can shrink from the challenge, letting fear of change paralyze us as the city we all love slips away. I see and feel the deep insecurity in our neighborhoods: fear of displacement, fear of more people moving in and driving up rents, fear of taller buildings that change the look of our streets. These are anxieties that have grown in our city over decades. At times, they can overwhelm us. But they cannot hold us back from acting decisively to protect our neighborhoods and keep this city affordable to working people. The results our administration has achieved in just two years show what real action looks like. In the past two years, working closely with communities and their elected officials, we’ve put shovels in the ground on more new affordable housing than at any time since 1978. The apartments we’ve built and preserved are enough for 100,000 New Yorkers, and we’re just getting started. Affordable housing for the very poorest New Yorkers — people making around $20,000 a year — is going up at a record pace. We increased funding for their housing four-fold, financing more affordable housing for them in the last two years than my predecessor did in the last five. More than a million rent-regulated tenants received their first-ever rent freeze. Working with the City Council, we’ve increased funding for free legal representation for tenants ten-fold to fight evictions and harassment. Evictions by city marshals have gone down 24% since I took office. We protected thousands of families at Stuyvesant Town and Riverton Houses, and have kept those complexes affordable for a whole generation. That’s my record, and I’m proud of it. But the crisis we face demands more tools, and right now two of the most important ones we need are just weeks away from a vote in the City Council. One reform will put in place the strongest mandatory affordable housing requirement of any city in the nation, meaning all new residential development in newly zoned parts of the city will have to include 25-30% affordable housing in order to build. Mandatory Inclusionary Housing will, for the first time, replace voluntary affordable housing incentives with new hard and fast minimums. It’s a game-changer that will mean a new floor of permanently affordable housing for low- and moderate-income families in our neighborhoods. The second set of changes is the biggest update of our land use rules since the 1980s. Obscure and outdated rules make it difficult, costly and time-consuming to build affordable housing, especially for seniors-adding years to timetables, all while 200,000 seniors are on waitlists that stretch back years. The changes we’ve put forward will ease restrictions on new senior housing and give builders slightly more height on affordable projects to ensure we get every apartment we possibly can. Our reforms will also eliminate unnecessary requirements for off-street parking that date from the days of Robert Moses. They force us to build parking spots that ultimately go unused, rather than more of the affordable apartments our seniors need. We’re in the worst housing crisis in generations, and we’re not going to allow these wasted opportunities anymore. AARP supports us. So do labor unions representing half a million working New Yorkers. So do leading clergy, small business groups and the non-profit organizations that build much of our affordable housing. I don’t underrate the tremendous fear and uncertainty still out there. It’s a fear so deeply held that some voices say any development at all-even 100% affordable housing-would just make matters worse. Others are setting a bar so high as to be completely unreachable, setting us up for a city in which it’s impossible to build anything at all. Without action, without building, this crisis will only deepen. That’s why we aren’t waiting any longer. From town hall meetings to churches, from barber shops to beauty salons, I’m making the case for urgent action. We’ll protect our neighborhoods’ diversity. We need Mandatory Inclusionary Housing to build affordable housing where the private marketplace won’t. With ironclad rules, we won’t let neighborhoods become gated oases for the rich. Developers will have to build affordable housing in order to put a shovel in the ground — period. A recent study by a local councilman showed that had our new mandatory rules been in place in Williamsburg-Greenpoint, where a purely voluntary program was put in place a decade ago, twice as much affordable housing would have been built there. In Bushwick, we would have had three times as much affordable housing as has gone up in recent years. We won’t let down families who need affordable housing like that ever again. We’ll invest not only in better housing, but better neighborhoods. I want neighborhoods that have struggled in the past to get better for the people who live there now-that’s why we’ve invested $1 billion in the new schools, parks and community centers growing neighborhoods will need. And it’s why we want all neighborhoods to have housing for a more diverse range of people, so that a young woman who studies hard and goes to CUNY can one day come back and have a home and a neighborhood she can be proud of. We will honor our promises and back them up with real resources. We can do all this while protecting current tenants and fighting displacement. For decades, tenants have been struggling to keep their heads above water. Now, they finally have a government on their side. We’ve instituted free legal services to fight harassment and eviction, the first rent freeze in City history, stronger rent laws, and affordable housing protections extended to more than 26,000 apartments in just two years. Several weeks back I met Luz Santiago, a born and raised Brooklynite who serves her community helping neighborhoods overcome addiction. After years of working three jobs just to afford a small studio, she had finally found a decent apartment she could afford-a true place to call home. But its rent was poised to shoot up just like all the other housing in this corner of Brooklyn. Because the city stepped in and locked the building into a long-term affordability agreement, Santiago now knows the apartment she loves, where her grandchildren come to visit her, will be affordable for another 30 years. That’s the peace of mind we will ultimately give to more than 300,000 New Yorkers through our preservation programs. This is a plan that serves everyone, from the poor to the middle class. The affordability crisis has grown so dire that even once solidly middle-class families aren’t able to find an apartment they can afford. We need more housing affordable to everyone from our low-wage workers to our first responders. Our Mandatory Inclusionary Housing program will lead to truly diverse buildings and neighborhoods where a custodian, a carwash worker, a teacher and a retiree can all live side by side-as they have for decades. And we’ll tailor that approach for each individual neighborhood. In East New York, for example with zoning and subsidies working together, we’ll build 1,200 affordable apartments in just the next two years — all of them at far lower rents than newly rented apartments in the neighborhood today. We have to look out for our seniors. New York City is getting older — quickly. We have more than 200,000 seniors on waitlists — and no one living the remaining years of their life should ever be told to wait years for a safe, affordable home. We cannot be a city where a senior with a disability becomes a shut-in because she cannot afford to live in a building with an elevator, where a couple who has lived together 50 years needs to split apart because there’s no place that can accommodate their differing medical needs. These are the problems senior housing solves. Despite the crisis we’re in, senior housing is one of the hardest things to build in New York City. It’s achingly slow to get approvals, it takes waivers to outdated rules written decades ago, and it demands costly additions like parking, even when there’s no need for them. And despite the need of every community to provide homes to its elders, there are huge swaths of the city where we can’t build senior housing at all. Our reforms will cut through all that. It’ll be possible to build new senior housing, with all the services seniors need to age in place with dignity, in all five boroughs. We have to build up, and do it smartly. I raised my family in Park Slope, and I care about the unique character of our neighborhoods. But a community’s character isn’t just about buildings, it’s about its people. Over two decades, I saw plumbers, social workers and retirees priced out of the neighborhood they built. If we want to keep our communities whole, we must be willing to build more affordable housing, even if it stands a little taller. We have to decide what we value more: keeping a building from rising one extra story, or keeping someone who has lived in a neighborhood for 40 or 50 years from being forced out. I won’t put skyscrapers where they don’t belong, but we have to get comfortable with becoming a denser city. Now is the time to double down on this commitment, and pass the two critical reforms: Mandatory Inclusionary Housing and Zoning for Quality and Affordability. The fear out there is very real. I understand it. And I know we can overcome it. That proof will come when buildings finally rise in our neighborhoods that aren’t just for the wealthy few, but for the seniors, the first responders and the working families who make this city what it is: a place for everyone. New York — Governor Andrew Cuomo marks World AIDS Day for New York State to continue to progress towards ending the epidemic. The Governor will commit to $500,000 to help fund a New York City AIDS Memorial in an effort to support HIV/AIDS efforts in the 2016/2017 budget in addition to $200 Million. These funds will supplement the $2.5 billion the State already has to directly address HIV/AIDS. To celebrate this commitment, One World Trade Center, Alfred E. Smith Building and SUNY Administration Building will be lit up in Red tonight in recognition of World AIDS day. Expanding the availability of affordable housing and providing additional housing assistance for people with HIV. Make life insurance available to individuals with HIV between the ages of 30 and 60 years old. Invest in more funding to help enhance services at “One Stop” STD clinics in New York City. Governor Cuomo will like the federal government to increase their contributions nationwide for housing assistance for people living with HIV and AIDS. This funding from the federal government will assist for the Housing Opportunities for Persons With AIDS (HOPWA) nationwide to remain effectively stagnant for more than 5 years. This request will drive `the cost of over $300 million annually if Washinton renews support vital to maintaining the progress to address the epidemic. For additional information on Ending the AIDS Epidemic in New York State, visit: health.ny.gov/EndingtheEpidemic. The full schedule of events and additional information on World AIDS Day activities is available here, and information on the New York State Cascade of Treatment is available here. New York — The de Blasio administration and City Council Member, Corey Johnson announced Hudson River Park Trust will assist in saving the deteriorating Pier 40 by creating affordable housing for working families and seniors. This transaction is set to undergo a full public review process and it is estimated that $100 million will be generating in repairs for Pier 40. The purpose of this newly announced proposal is to transfer development rights to the nearby St. John’s site, located across the West Side Highway from Pier 40. To date, there has been an estimated that St. John’s Center Partners will include 30 percent affordable housing dedicated to seniors out of the 500 affordable apartments constructed under a transferring development rights agreement. The funds are subjected to approval by the Hudson River Park Trust’s Board of Directors after an independent appraisal process is conducted. 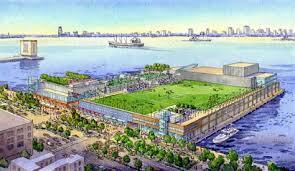 Pier 40 is one of the largest park’s pier that has portions of aging stemming concerns for public safety. The Pier was constructed between 1958 and 1962 and was being used as a project office and maintenance facility for the Hudson Park Trust, a public parking facility, and various other uses. This announcement came to the NYC Department of City Planning (DCP) and the St. John’s Center Partners started after a mirrored agreement with the State legislation that was signed into law in November 2013 to transfer the development rights from sisters within the Park to create revenue for the Trust. This development is projected to create 1,800 new construction jobs, 1,400 new non-construction jobs, and 1,500 direct full- and part-time jobs from the project’s annual operation. According to the de Blasio reports, the project’s construction is estimated to be $2.2 billion in the NYC economy and subsequently contribute $400 million in new tax revenues for New York City and New York State will then get $21.8 million from its annual operation. The project will also be designed for extreme weather and storm resiliency with state of the art flood mitigation.